Sedona, Arizona is one of the most beautiful and iconic places on earth. 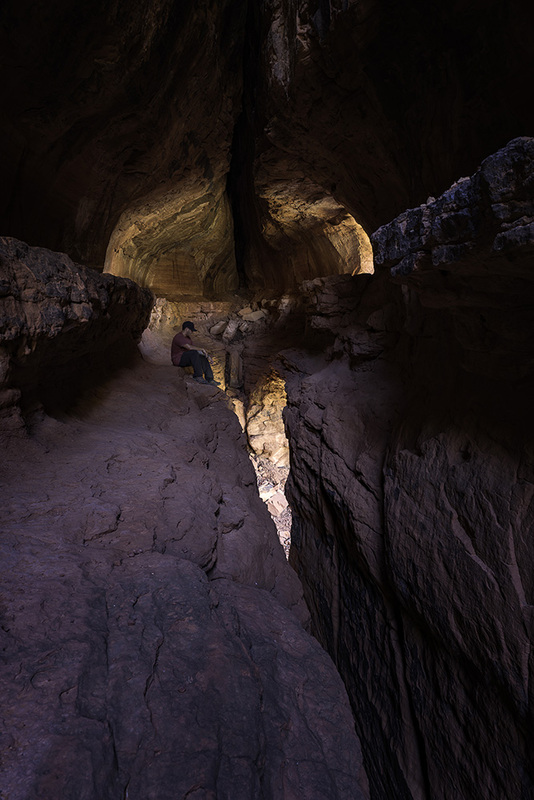 Whether you are a photographer, hiker or adventurer, Sedona's Soldier's Pass Trail offers some epic views, great sunrises and sunsets, a sinkhole and a hidden cave along an unmarked side trail. This trail is part of a system of trails that include Jordan's Trail, Cibola Pass and Brin's Mesa Trail. In this article I'm going to talk about 2 ways to hike Soldier's Pass. The first (and easiest) from the Soldier's Pass Trailhead parking lot and second, from Jordan's Trail, if you want to be on the trail for sunrise or sunset photography. The first route is very simple. It starts from the Soldier's Pass Trailhead. The gates open at 8am and close at 6pm. There is a small house that (I assume) is occupied by the hosts of the trailhead parking lot. Do not park here if you want to stay out on the trail past 6pm for a sunset. To get to this parking lot, simply head west on Route 89A from the "Y" (intersection of 89A and 179) towards West Sedona. Follow Route 89A for 1.3 miles to Soldier's Pass RD and turn right. Follow Soldier's Pass RD for 1.5 miles to Rim Shadows and turn right. At 0.2 miles the parking lot will be on your left. Look for the gate. From the trailhead you will be hiking for about 10-15 minutes, where you will reach the intersection with Jordan's Trail. It is here that you will see Devil's Kitchen Sinkhole straight ahead. This is the largest sinkhole in Arizona and its still active! Continue to the left around the sinkhole on the Soldier's Pass trail for approximately 10 minutes, and you will arrive at Seven Sacred Pools on the left hand side. These are natural pools carved out of sandstone, and after a good rain, can even be a flowing waterfall! From the seven sacred pools, continue on the trail for 45 minutes, enjoying the beautiful views the landscape and vegetation have to offer. After 45 minutes, you will come to a sign that says Soldier's Pass Trail. You're almost there! From this sign, walk for 3 minutes until you see a fork in the trail. To the right is an unmarked trail. Follow it, and you will go over some sandstone staircases and a wide open sandstone area. Go to the left of the sandstone area and continue up the trail. From the fork, its approximately 25 minutes to the cave. Climb up and to the right inside the cave and relax, meditate, get some food and take some pictures!! Once you are finished, please take everything you brought, "Leave No Trace," and head back out to the main trail. Here you can hike up to the end of the trail and return the way you came, or make the complete 5.5 mile loop via the Brin's Mesa Trail, Cibola/Jordan's Trail. This trailhead is great if you want to park here to photograph sunrise or sunset because there are no gates, and does't close. If you are going to be hiking in the dark, I highly recommend getting Maps.ME for iPhone or Android. This app works offline if you download the area before you go. It has about any trail you can think of and is very accurate. I stop about 10ft off the trail it it showed be being slightly off trail on my phone. I've even used it trekking in Peru! From the parking lot, follow the Cibola Pass Trail, heading west for about 15-20 minutes until you get to the Jordan's Trail intersection. Continue heading west along the Jordan's Trail for another 10-15 minutes, where you will reach the Devil's Sinkhole/Soldier's Pass Trail intersection! From here, its of course, the same as above. I highly recommend the Sacred Seven Pools for sunset. Have a great trip and remember to bring lots of water!